Rick Kemp is Professor of Theatre and Head of Acting and Directing at Indiana University of Pennsylvania, USA. An actor, director and Fellow of the Salzburg Global Seminar on Neuroscience and Art, his publications include Embodied Acting: What Neuroscience Tells Us About Performance (2012) and The Routledge Companion to Jacques Lecoq (2016). 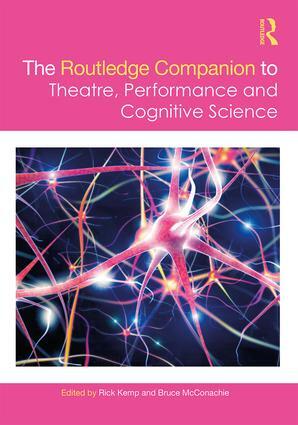 Bruce McConachie, Emeritus Professor at the University of Pittsburgh, USA, has published widely in theatre history and cognitive studies. His scholarship includes Engaging Audiences (2008), Evolution, Cognition, and Performance (2015), and chapters in Theatre Histories: An Introduction (3rd edition, 2016). A former president of the American Society for Theatre Research, McConachie also acts and directs.